The company, which plans to increase its presence in the region, incorporates Ana Jasso. Blendhub incorporates Ana Jasso to its team as the new Regional Sales Manager in Latin America. This incorporation is part of the company’s expansion projects in Latin America, which has a commercial office in Mexico, also where its new lab will soon start operating. Ana Jasso has a degree in Food Engineering from the National Autonomous University of Mexico and a Diploma in Packing and Packaging by the same center. Additionally, she has had a distinguished professional career in the food industry, working in some of its major businesses. After starting her career in RYC Alimentos in the late 90s, she joined CHR Hansen as an account executive and since then, she has been part of the teams in Mexico of Danisco and DuPont Nutrition & Health, in this case as accounts manager of the Dairy Division before joining Premium Blendhub. In her new position, Ana Jasso will have the opportunity to present to customers in Latin America the economic category of SMART Powder Blends, in which Blendhub is a pioneer, as well as achieving the company successful foray in this strategic and growing market. 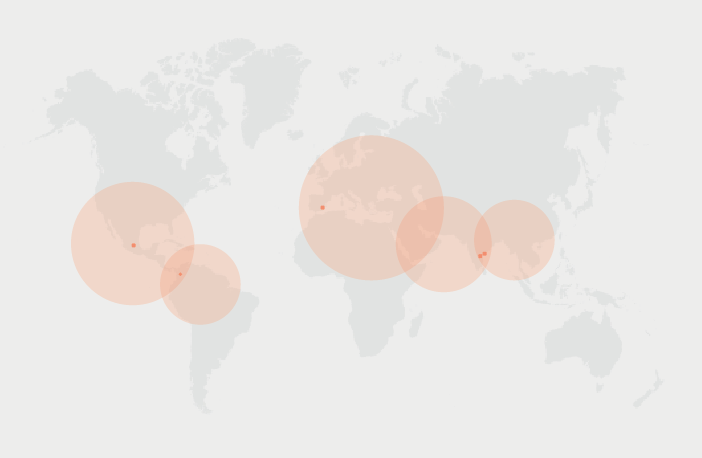 Blendhub, we are open, we are anywhere.